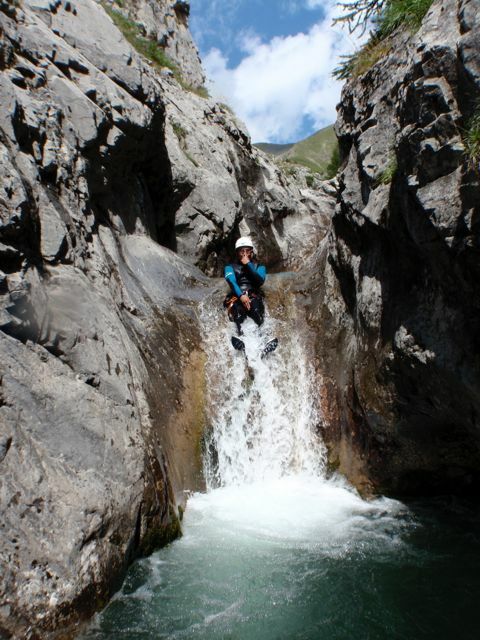 The Rouanette is a very nice beginners canyon above Gap located in the Champsaur. Surrounded by mountain peaks 2500 meters above the canyon is a spectacular landscape. 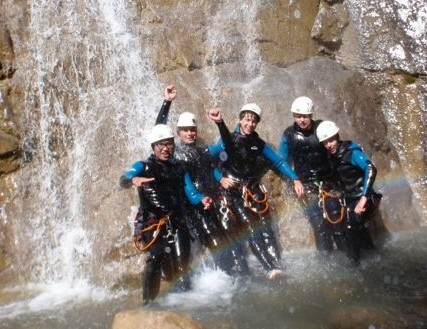 De canyon Rouanne heeft alles wat een leuke canyon moet hebben: crystal clear water, jumps, abseiling and slides. 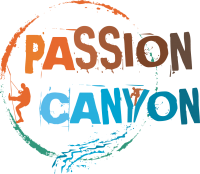 This is an ideal canyon for the first time to come into contact with this adventurous sport. Due to its medium-term, this tour for people who love a challenge and yet for families with children (from 12 year). Expensive: 2½ uur canyoningen. More 30 call minutes. Once out of the canyon we took 5 minutes back to the car. Preferences: A moderate level of fitness and be able to swim. Material provided by us: Neopreen pak (pants & them), neoprene socks, helmet and seatbelt. Materials to bring with you: Sneakers (no sandals or surf shoes), snack (energiereep) and water, swimwear + towel. What does a day in the Rouanne out? We meet at the appointed place in Ancelle and ride together up to the parking lot next to the canyon. Here we share the material: neoprene suits, belt, helmet and some backpacks for our snacks & water. We walk a half hour up through a shady forest to the top of the canyon. The canyon begins playfully with several short slides. Some abseiling and we arrive at the second part of the canyon. He becomes narrower and steeper and higher abseils. We pass to the right of the waterfall Peyron Roux 50! meters down. Here in the last part of the Rouanette we are treated to the best part, several jumps and a after a deep pool with lovely clear water where we can jump several times and a long slide to slide off final. We conclude this beautiful canyon with a final abseil 13 meter. This canyon is located in the valley east of Ancelle.